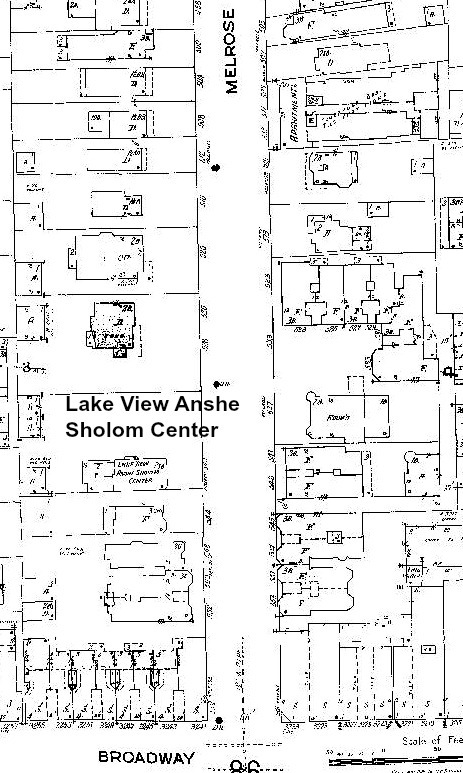 Of the early Jewish congregations of the 19th century, only three remain on the far South Side, none on the city's West Side, whereas twelve remain on the north-side - view map. 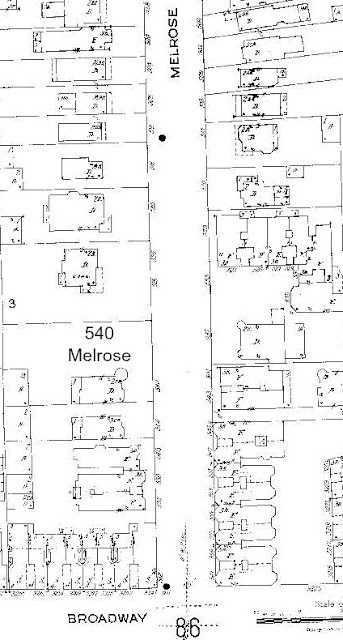 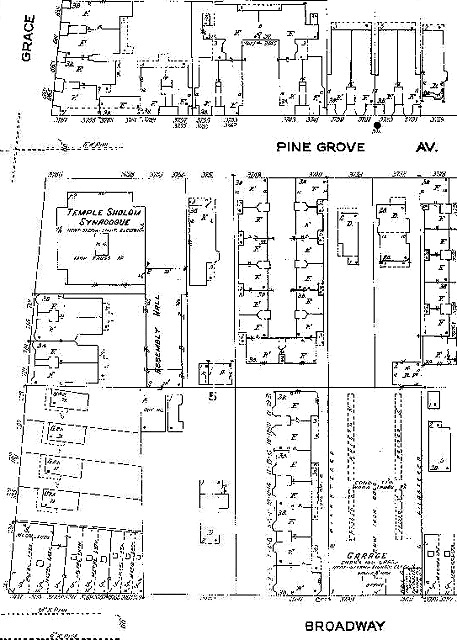 Of the twelve three purchased property in suburban sites, where many congregations founded in the twentieth century are also to be found in the suburbs. 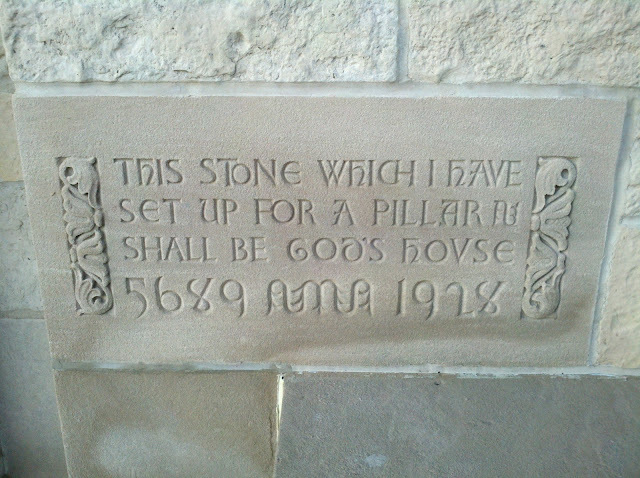 One of the most beautiful religious edifices in America, built of dressed stone, at a cost of nearly 2 million dollars. 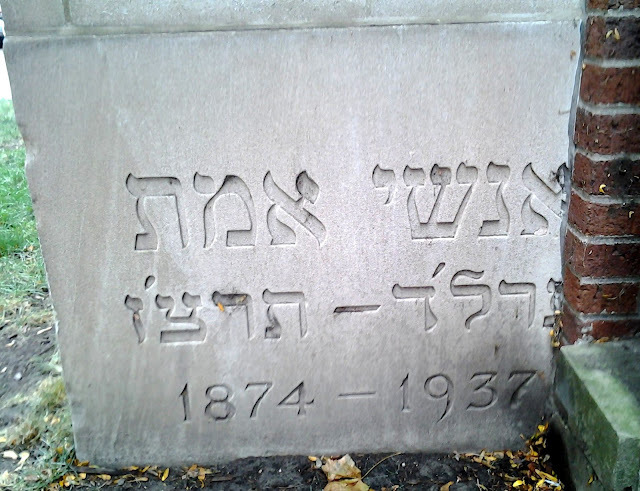 The new Jewish arrivals from eastern Europe of the 1870’s differed from the established German Chicago Jewish population of the 1840’s in their cultural background, language, dress, demeanor, and economic status and until mid-twentieth century. 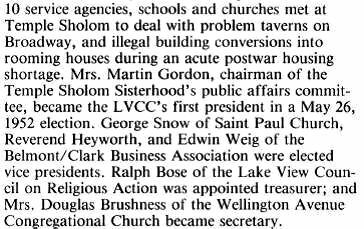 By 1910 a number of the Reform Jews would move north mainly to Rogers Park but also into community of Lake View. 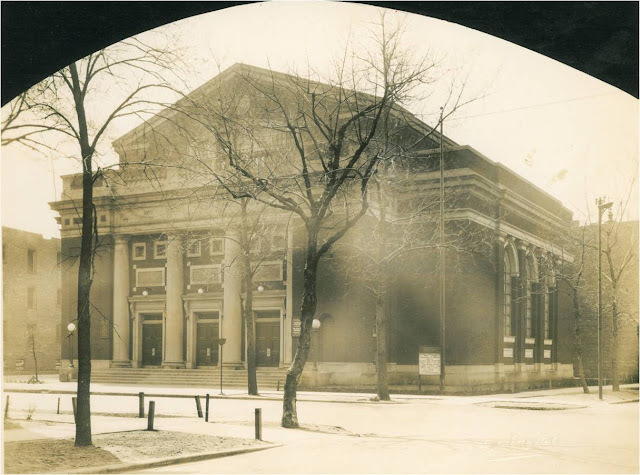 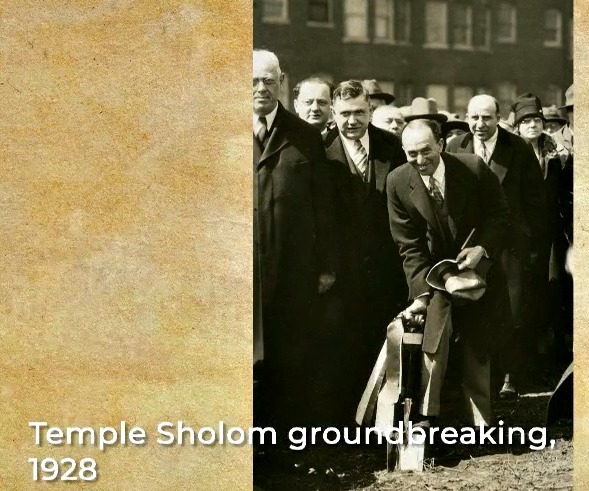 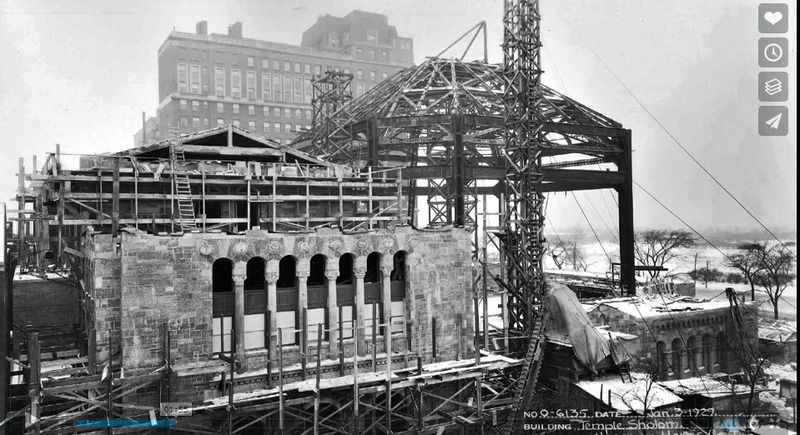 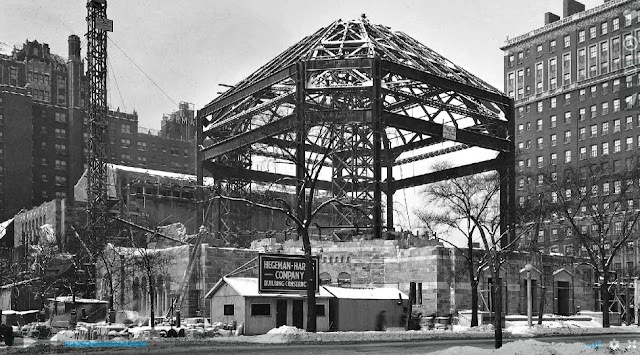 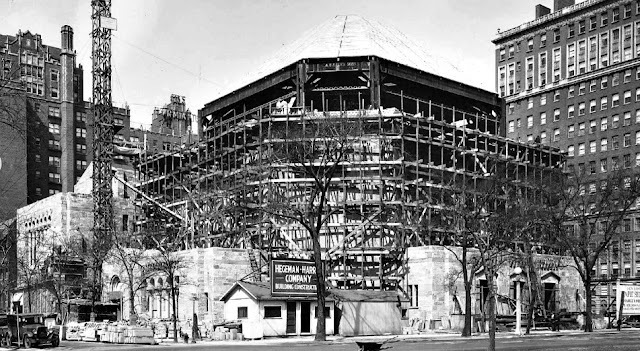 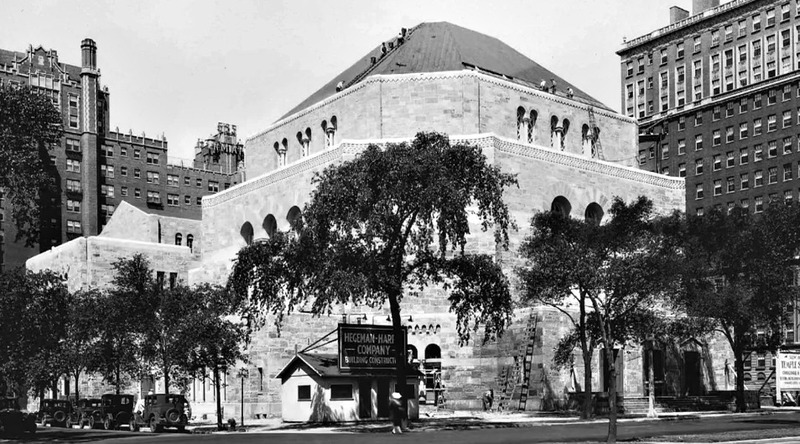 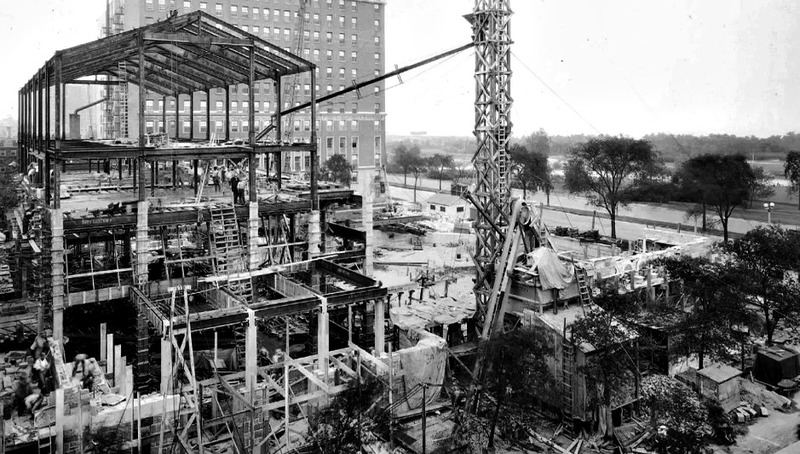 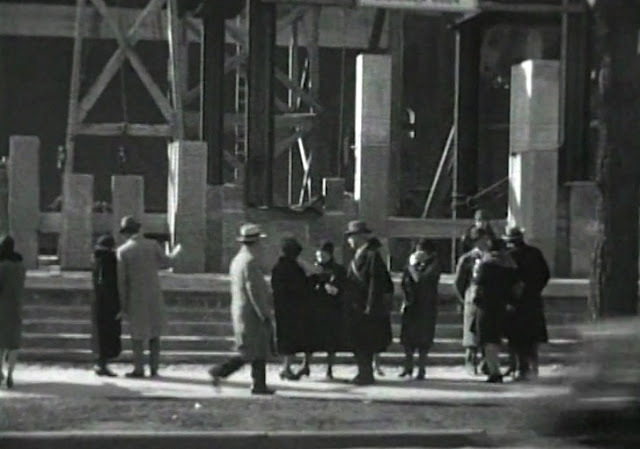 In 1928 the cornerstone was laid and the established a temple of worship along the lakefront was to be known as Temple Sholom. 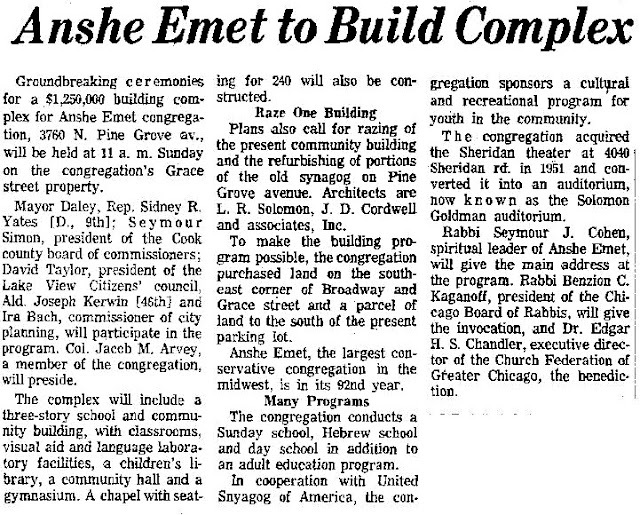 The congregation had a visitor on October 21 1964. 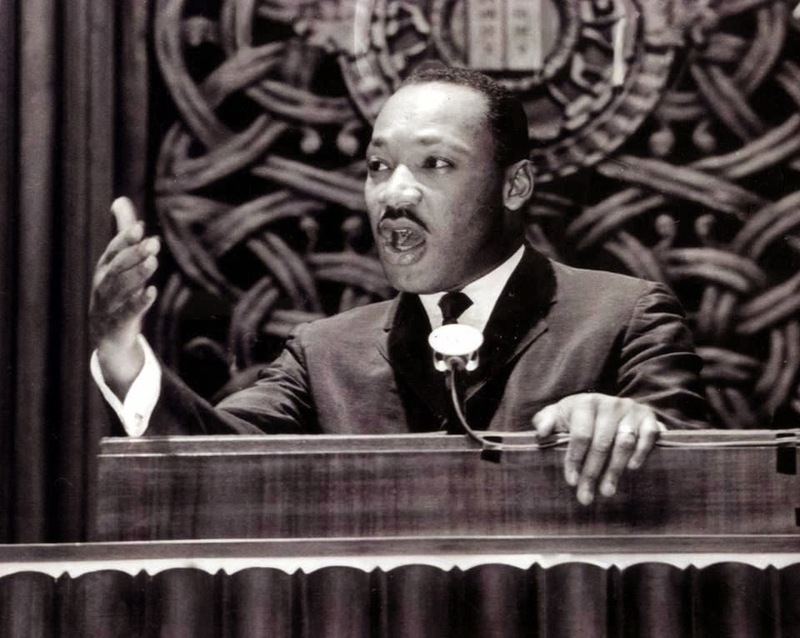 Martin Luther King accepted the Nobel Peace Prize on December 10th of the same year in Olso, Norway. 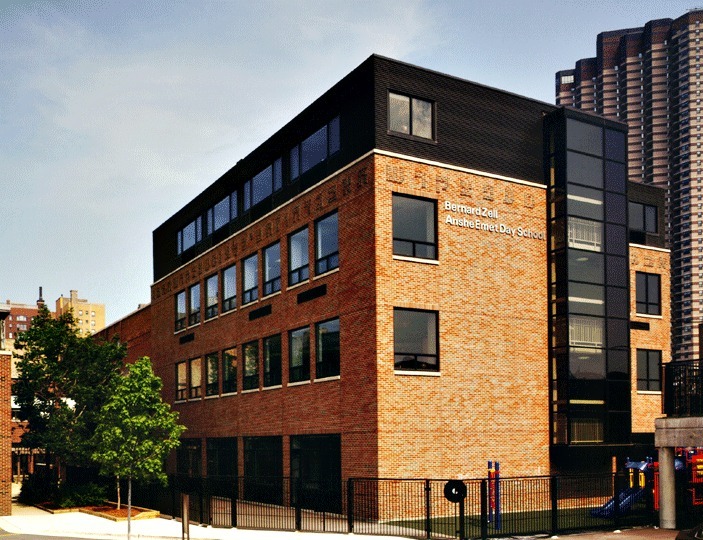 "The Bernard Zell Anshe Emet Day School is an independent, community Jewish day school that combines the best of Jewish learning and traditions and the best of innovative educational practices in a rigorous and nurturing learning environment. Dedicated educators partner with Jewish families to fulfill the goal of raising children to be their best selves and good citizens of their communities." 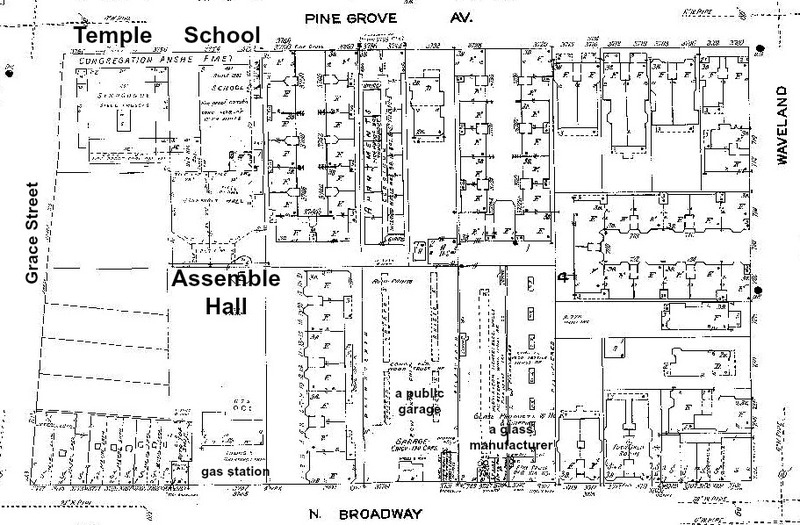 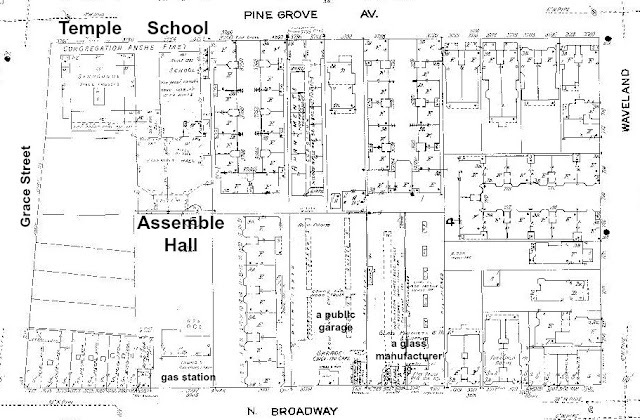 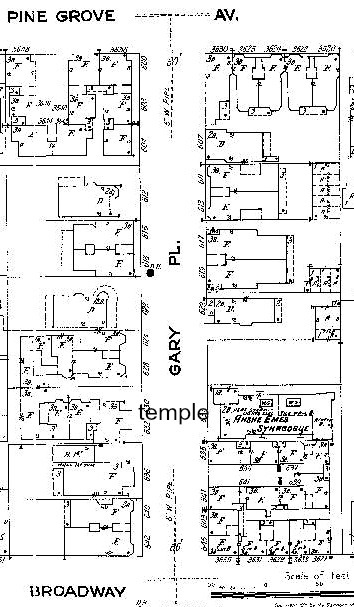 This congregation was founded in 1873 in Chicago but did not have a presence in Lake View until 1916 when its temple was located at 633 Gary Place (Patterson Avenue) and then moved again in 1928 at its present location of 3762 North Pine Grove. 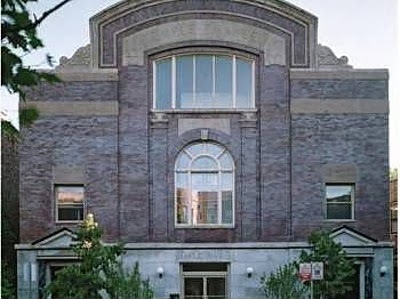 Devote a minute and listen to their choir! 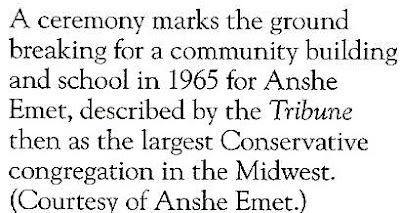 An interesting note and according the publication Hidden History of Ravenswood & Lake View by Patrick Butler, as of November 1939 the congregation had a interesting guest speaker to present a topic of great interest called 'What the German People are Thinking'. 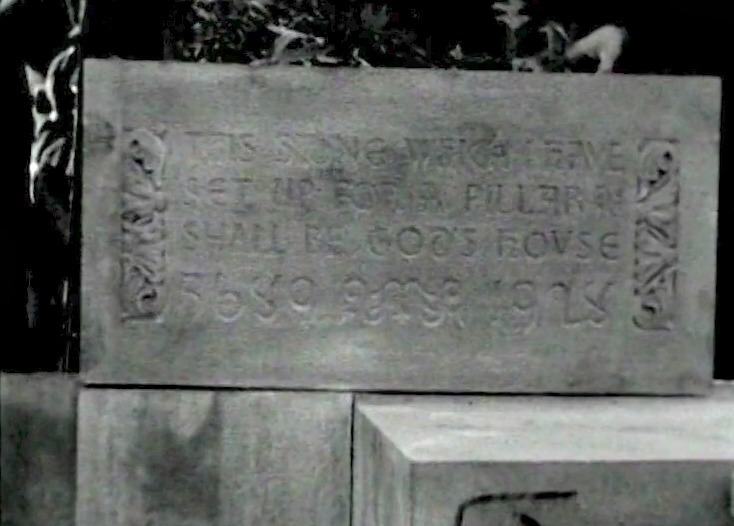 The speaker was the nephew of the then Fuehrer of Germany and his name was William Patrick Hitler. 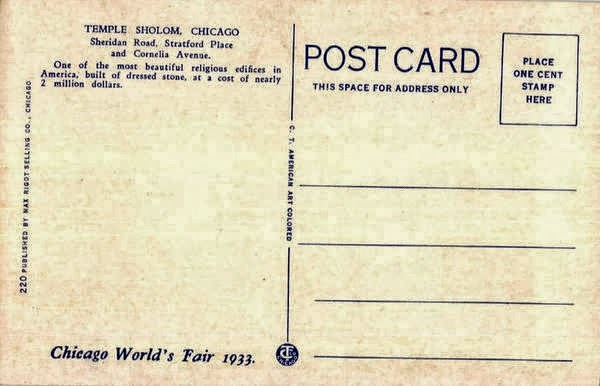 Herr W.P. Hitler was anti-war & NOT a fan of his uncle. 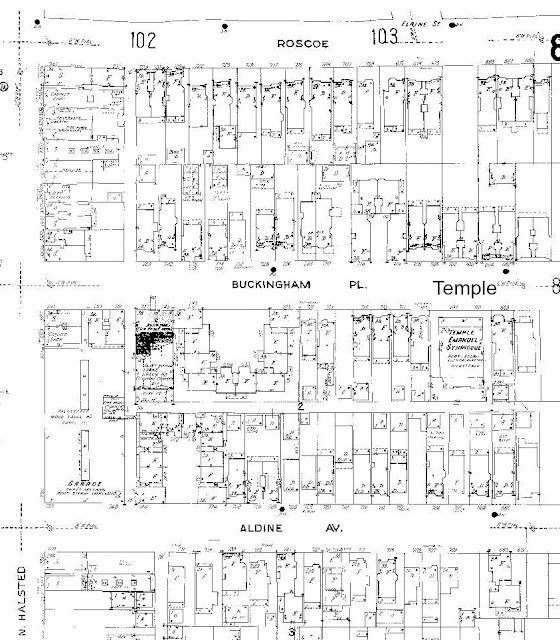 William Hitler served in the U.S Navy - WWII. 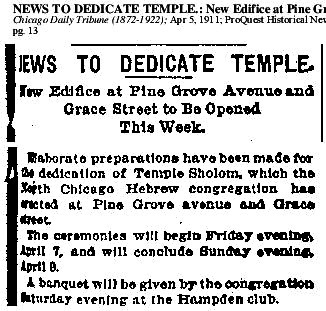 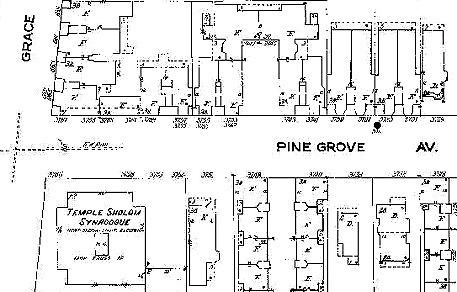 This 1926 article indicates that the Anshe Emet temple on the corner of Pine Grove & Grace Street was apparently owned by Temple Sholom. 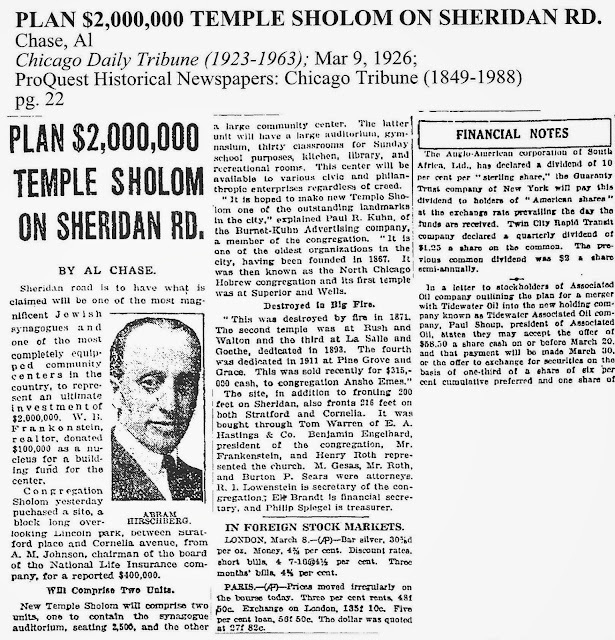 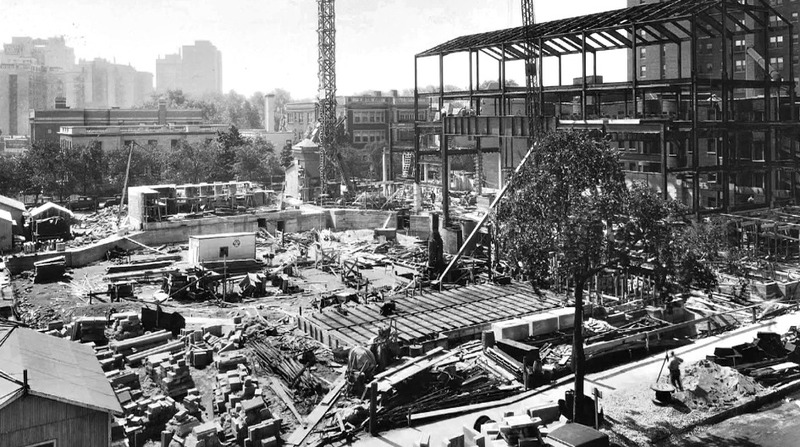 In 1928 the congregation of Temple Sholom began the construction of a new space on Stratford Place and what was then called Sheridan Road. 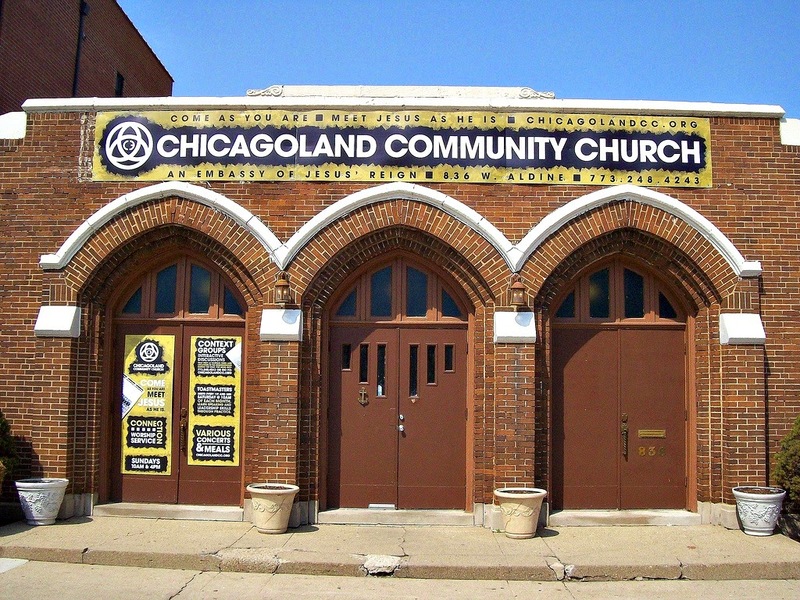 This congregation began its service to Chicago's Jewish community with a fight over a hat during the 1870's. 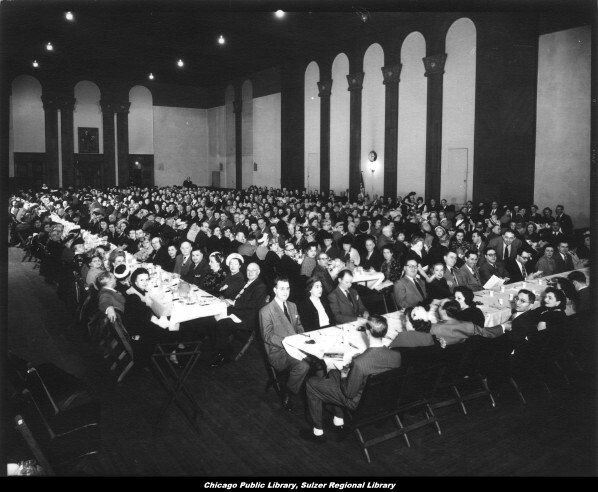 In the late 1930's, a group of members saw the potential of bringing their type of open, welcoming orthodoxy to the North Side. 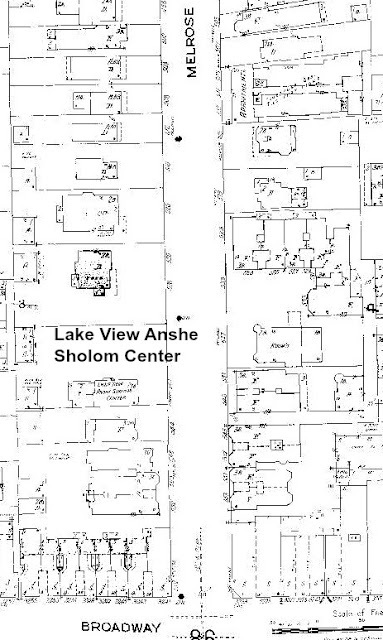 A branch called Lake View Anshe Sholom Center, opened in 1940 from a converted greystone residence on Melrose. 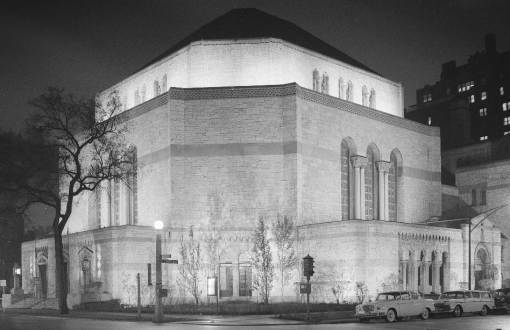 In 1960, the last few members of Congregation Bnai Israel left Old Town, ceased operations in the 1300 block of Sedgwick and soon after became Anshe Sholom Bnai Israel. 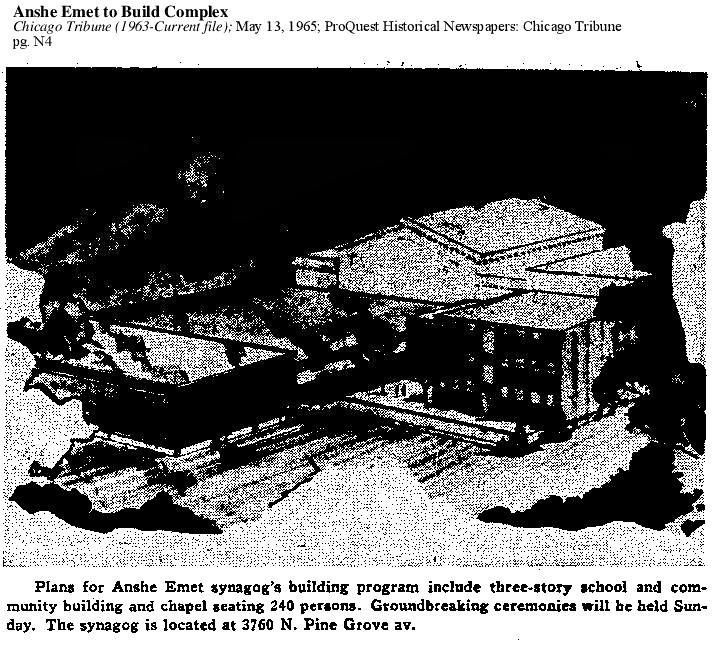 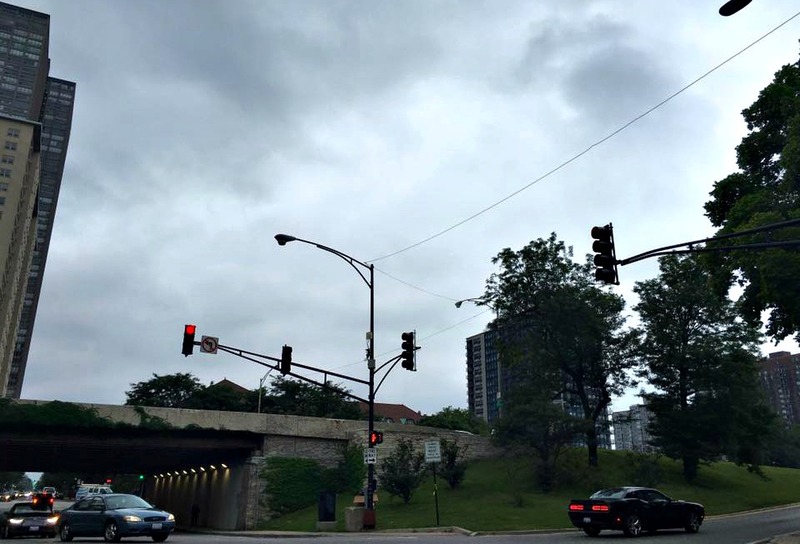 Two years later, the long postwar decline of the westside of Chicago brought an end to the main Anshe Sholom congregation on Independence Boulevard, and it, too, merged into ours, creating the present name but this time in Lake View. 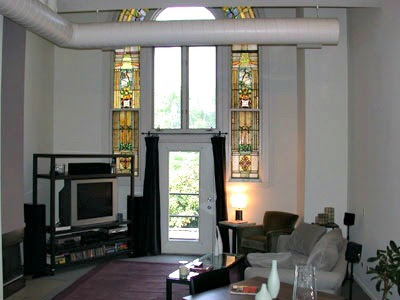 This former temple now condos according to Zillow. tip off this building’s past. A group of young men and women established a sports and social club on the north side in 1936, known as the Sport Center of Jewish Youth. 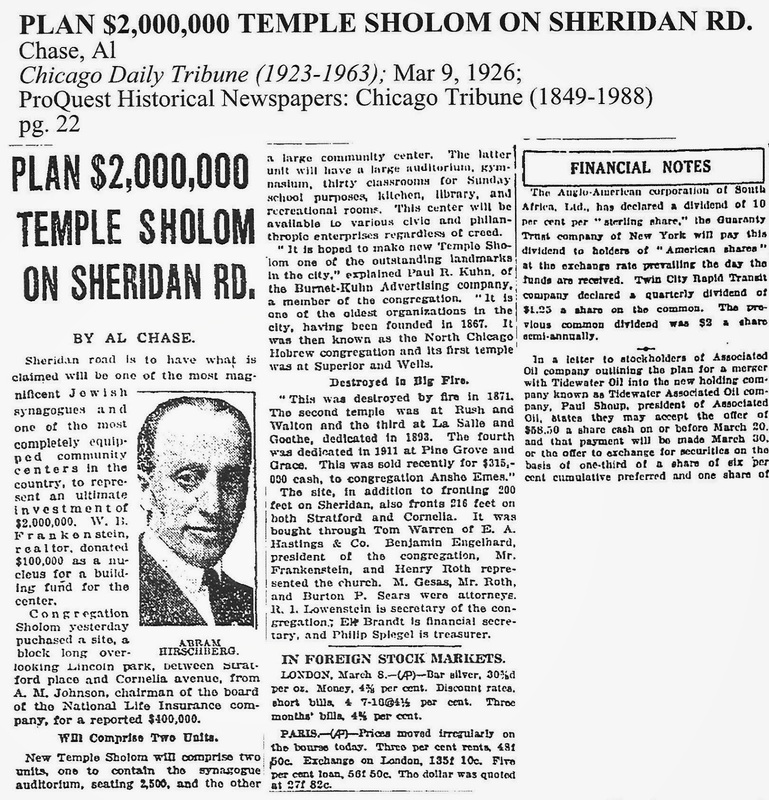 In 1938, it evolved as the North Center of Jewish Youth. Friday evening services were added on November 10, 1938, coincidentally the day after the infamous Kristallnacht in Nazi Germany. 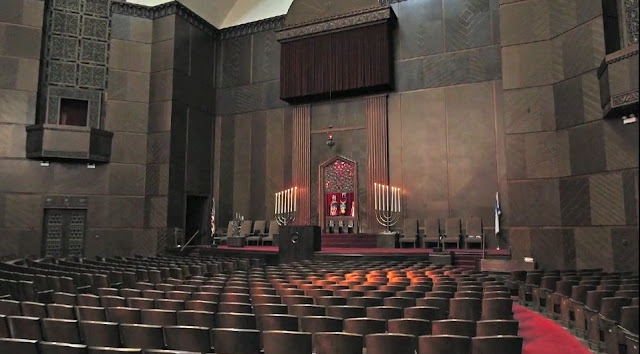 It was held in the Sanctuary of Temple Emanuel, then on 701 Buckingham Place. 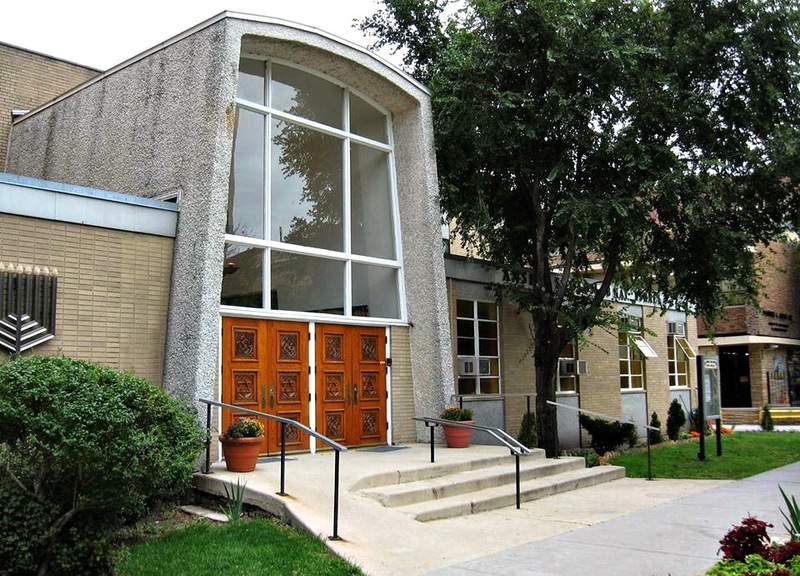 The Center rented facilities for religious services at 1026 Wilson Avenue, and for a while, at 3751 North Broadway Avenue. 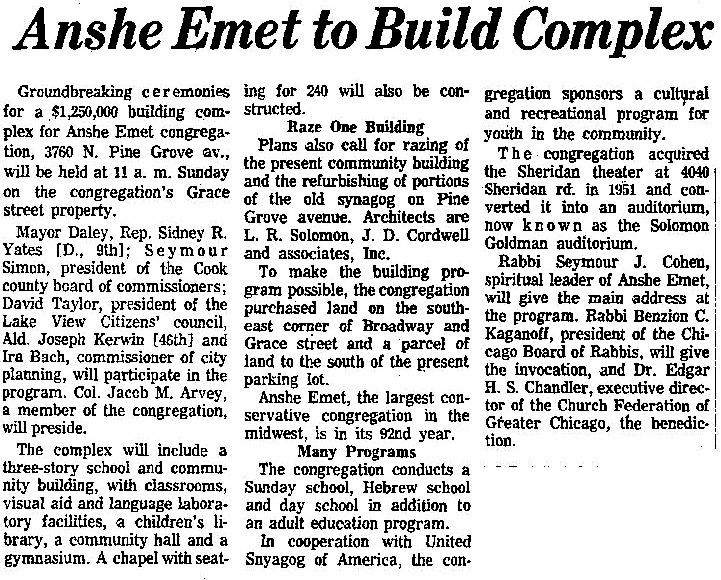 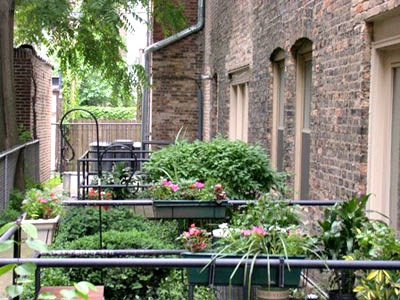 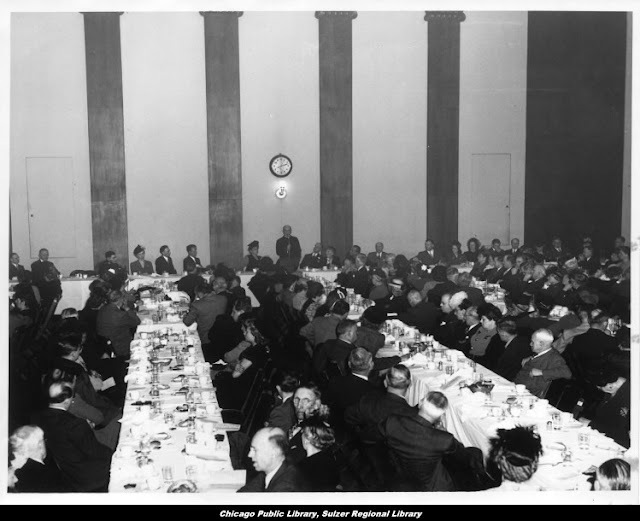 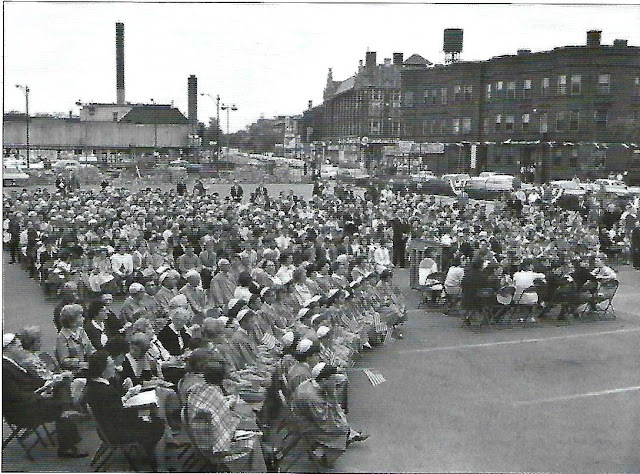 Religious services were occasionally held in the sanctuaries of Temple Emanuel, Lincoln Park Congregation, and Anshe Emet Synagogue. 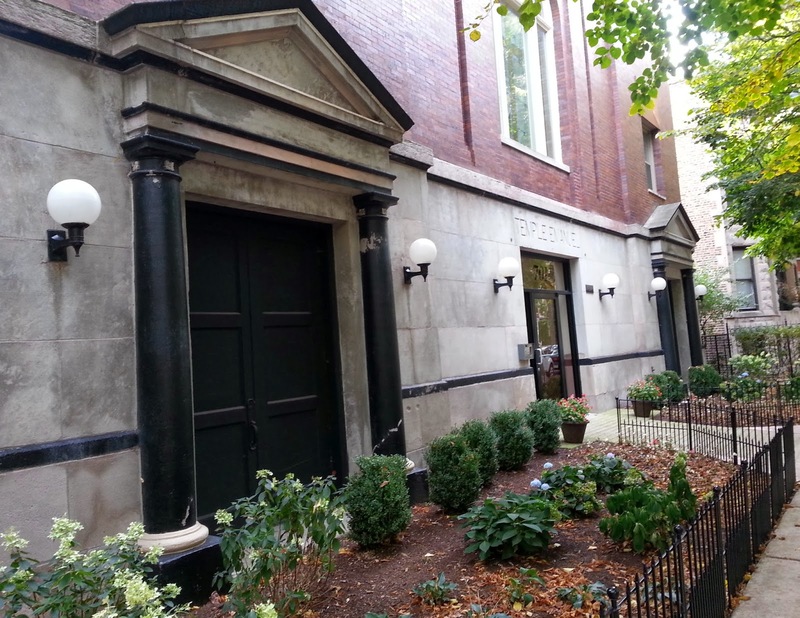 View the other former synagogues in Chicago and here. in Chicago. Also view the synagogues from around the world. This post is part of a 7 part series of blog posts about 'Houses of Worship' according to faith. Most Houses of Worship have attached schools on their private property that I may or may not be highlight in any of these posts. These following posts only briefly narrate a particular institution and 'pray' I did not forget one. 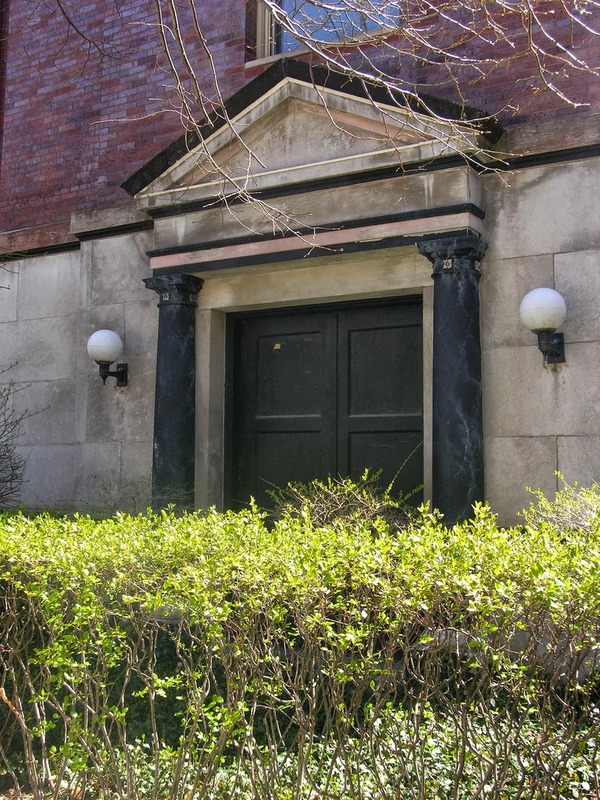 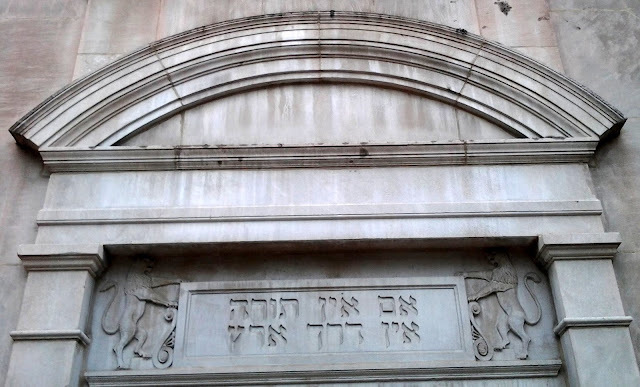 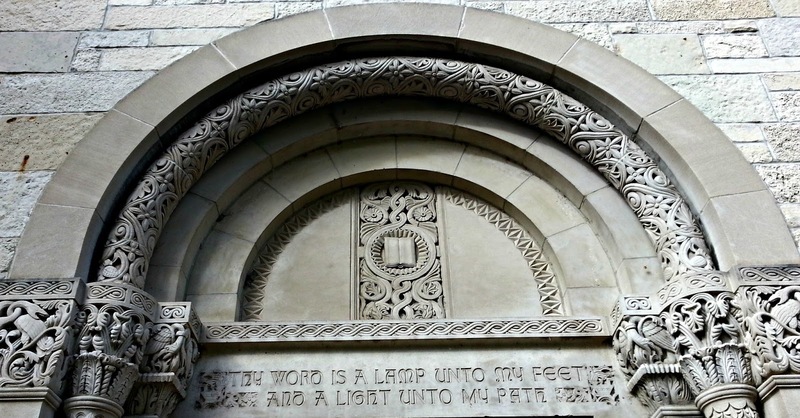 Also, visit this Forgotten Chicago site on the less remembered synagogues in Chicago.